So, anybody got a favorite handload for the m95 stutzen? 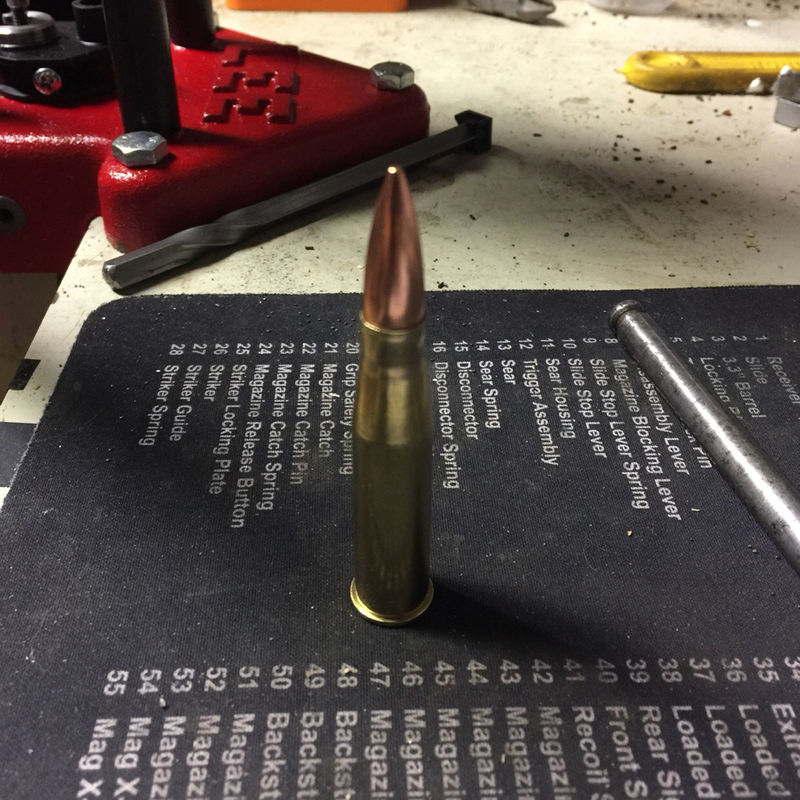 I've had pretty good results with Varget and Hornady's 205-grain PSPs, but want to broaden my base (and develop a top-shelf round for hog hunts). Re: Pet loads for 8x56R and m95/30 "stutzen"? I use 40 gr of Varget with a 208 gr PPU bullet. I apply a light crimp also. Has much lighter recoil than commercial rounds. Accuracy is good. My steyrs seem to like cast bullets at short range. I have also had luck with the same bullet using 24 grains of AA 5744 powder. Going to get back to the loading bench soon. Last edited by professrh on Mon Sep 03, 2018 3:01 am, edited 1 time in total. If you use BL-C(2) use a magnum primer and crimp helps too. Chambers vary widely in these rifles so sometimes full-length resizing is not the best fit as the case has to expand quite a bit to seal the chamber. Had a lot of blow-by on my early loads. Planning to try a different powder the next go-around. LEE makes a bullet sizing die to size down a .338 bullet to .330 which works well with the better hunting bullets where the core is fused to the jacket. The bullet is squeezed down .008 which is a lot. At no time has a bullet core become loose when fired. Accuracy has been good,not match by any means but good enough for hunting and fun at the range. 4-5 MOA.